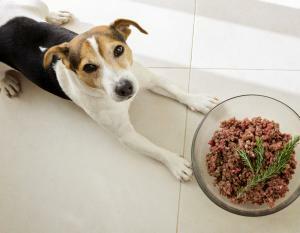 Over recent years, the market for raw pet food has seen rapid expansion. While commercial, vet-recommended diets remain popular, an ever-increasing number of people are opting for a more natural approach when it comes to feeding their pets. Just as we’re becoming more conscious of our own dietary choices - preferring fresher, more organic products - we’re feeling empowered to make the same decisions for our dogs who are, unequivocally, extensions of the family unit. With this in mind, many individuals are forgoing commercial kibble in favour of raw, or ‘BARF’ diets. To meet this growing demand, VioVet Ltd has taken the decision to invest in new freezers at their Luton premises, in order to expand their range of raw food diets. Aside from offering greater choice to their customers, it will enable them to hold more stock onsite, which, in turn, will help improve delivery timescales. “We understand how important dietary decisions are when it comes to the health of our pets, so we’re excited to be able to offer our customers more choice in raw feeding, and then get it to them quicker. We hope this shows that we’re listening to our customers and doing all we can to meet the demands of a budding market” said VioVet Marketing Manager, Verity. For those who already feed raw, this will be a welcome development and mean they can now incorporate variety into their pet’s diet, without losing any of the nutritional benefits of more natural feeding.